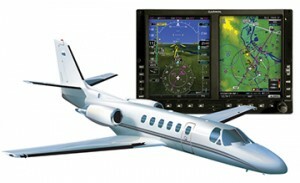 Garmin GTN-750 & GTN-650 Series GPS/COMM/NAV systems in the Cessna 500 and 650 series aircraft. Certification on these systems includes the Cessna Citation Models 500, 501, 550, 551, S550, 560 and 650. The Garmin GTN Series radios are certified to include fully autopilot coupled WAAS LPV approaches. This STC includes various combinations of the GTN Touch Screen radios, the Garmin GTX-33ES Mode-S Transponders, Garmin GDL-69/A Weather Data Link and a Marker Beacon Receiver. The GTN radios will display Jeppesen Approach Plates or the Garmin FlightCharts. Contact us for more information and to book your installation.